You're planning to do a Tarot reading because you've got some pressing issues that need to evaluated soon, but someone warned you that you need to wait until a certain moon phase, which is a few weeks away. You've got to resolve things quickly, but do you need to just cool your jets and wait for the proper moon phase? Good news: you do not. 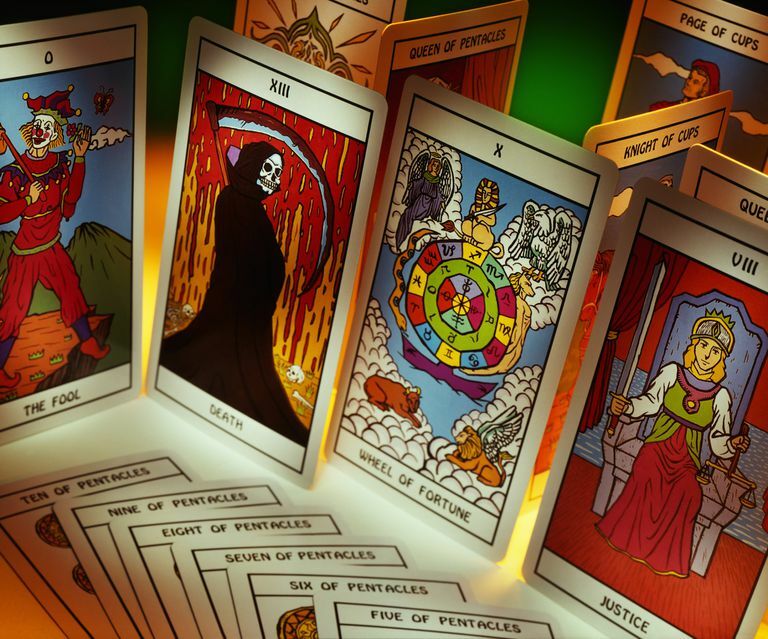 In fact, many people believe that the best time to do a Tarot reading is when you have a question. If you’ve got pressing issues, then go ahead and do your reading, and don’t worry about what the moon is doing up in the sky. The only difference in your waiting two or three weeks is that your problems will be two or three weeks further along. Now, that said, are there benefits to doing Tarot readings during specific moon phases? Sure. Just like any other magical or metaphysical practice, some people believe that timing is everything–or at the very least, something. This means that if you have something specific you need to focus on–and it’s not a matter of immediate urgency–then doing your reading during a certain moon phase could definitely enhance the results you get, as well as your own intuitive skills. The period of and immediately following a new moon is often considered a time of new beginnings and re-evaluation. If your question has to do with starting something new, this is a good time for a reading. Consider the new moon phase for questions relating to starting a new job or relationship, moving to a new place, or taking on a challenge that until now, you’ve never been ready for. During the waxing moon, as the moon is working its way towards the full stage, many people like to do readings involving bringing things towards them. In other words, this is a time to focus on things that are already in your life that you might want to grow. Are you questioning whether you want to have another child? Continue your education after all these years? Take on a second job? The full moon is typically seen as a period of intuition and wisdom. In many magical traditions, the three days before or after the full moon are still considered “full,” but you’ll have to make your own call on that. Some people believe that any reading done during a full moon is going to have a lot more intuitive oomph to it, simply because the moon is full and our intuitive abilities are peaking during this time. If you want to focus on the purpose of your readings specifically, this is a good time to do readings related to matters of spirituality, personal development, and inner growth. Finally, during the waning moon, this is the period–as with many magical activities–for getting rid of stuff. Are you doing a reading because you’re thinking about eliminating certain things from your life? Are you questioning a toxic relationship, a bad job situation, or some other element of your world that leaves you unsatisfied and discontent? What about something unpleasant in your past? If it’s dragging you down, a reading during this moon phase could tell you it’s time to shed your baggage. To Wait, or Not To Wait? So, to bring things full circle, do you have to wait until a certain moon phase to do a reading? No, absolutely not. If you’ve got something imperative that you need to handle right now, do it. You’ll probably be glad you didn’t put it off. However, if it’s just a non-immediate question that you need answered, or you’re thinking you may need a bit of guidance in a particular area, can you wait until a particular moon phase? Sure–try it, and see if you feel more attuned to your cards and your reading if you wait for the corresponding phase of the moon. You may want to even create specific Tarot spreads for each of the phases. For instance, for the new moon phase, you can draw three cards to lay out. The first could represent what ideas you need to focus on, the second what you need to learn to accomplish it, and the third can symbolize what your long term achievements should be. For the full moon, your three cards can represent material things you're thankful for, non-material blessings in your life, and the gifts you need to embrace to fulfill your own potential. If you want to learn more about how to read Tarot cards effectively and accurately, check out our free Introduction to Tarot study guide–six simple steps will get you started with the basics of Tarot! Zombies are Here... And They're On Your Tarot Cards!